Recently, the Hog Roast Blackpool were hired by Ruth for her event which she was hosting at the Staining Village Hall in the Blackpool area. The event was for a sixtieth birthday party and so it was important that the hog roast team made sure that the service ran really smoothly. The food was served onsite as a buffet and the Hog Roast Head Chef ensured that everything looked fantastic. The client selected menu one from the selection offered by the Hog Roast Blackpool team. 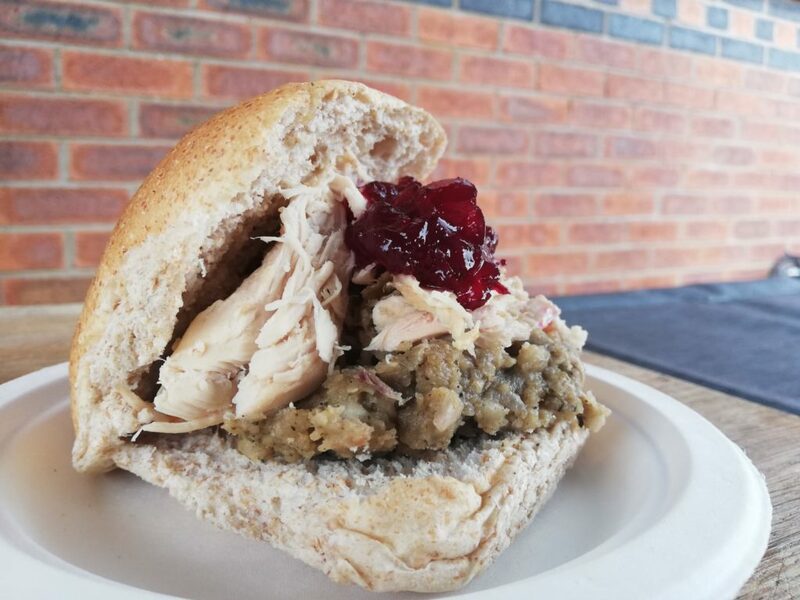 However, the main hog roast meat was swapped out for chicken which was served with stuffing and bread rolls. The chicken was slow roasted on a spit on site by the Hog Roast Blackpool team. All of the elements of the buffet were prepared and roasted on site in the few hours it took the team to cook the meat to ensure that all of the food tasted really fresh. The team used locally sourced ingredients to ensure that all of the food tasted fantastic. Furthermore, the food was served on disposable plates with napkins which were cleared away by Hog Roast team discreetly after the service which a great characteristic of the team as they do not only take the stress of cooking away, but also the troubles of cleaning up afterwards. The food was served from 4:30 pm and the Hog Roast Blackpool team arrived at 1:30 pm, well before the serve time, so that they had plenty of time to cook the food and did not have to rush plating in. In addition, this gives the team the chance to deliver a great service as they can service the food at a leisurely pace to the guests and help to nurture the party atmosphere. The Hog Roast Blackpool team’s Head Chef, James, did a great job of leading the rest of the team through the service. Ruth’s guests really enjoyed the food and had a great time at the birthday party to her delight while she was personally really pleased with the Hog Roast Blackpool team’s service and professional attitude. Silver Wedding Anniversary Celebration with Hog Roast Millom! Homecoming Celebration for Newlyweds with Hog Roast Flookburgh!